I feel that 2013 has been a particularly strong year for music, particularly in regards to previously founded sounds being more fleshed out and developed. The noisy post techno movement which started a few years back is now at the later stages of its peak, with artists exploring the last parts of new ground within the scene. Labels like The Trilogy Tapes and Opal Tapes have been particularly prominent in this new wave of post techno. However, this later stage of releases, while very enjoyable, does point towards a dip in fresh output down the track. I think parallels can be drawn between this kind of techno in 2013 and the digital minimal techno sound in 2008/2009, when it was at the end of its peak. While that era had some quality releases, failure to progress to newer sounds resulted in some rather bleak years. So despite being very happy with this year in music, I’m a little concerned about what is in store for the mid 2010s. There are some promising developments in the outer fringes which will hopefully bleed through to techno down the track. I’ve always felt that new sounds and ideas develop in the outskirts of scenes which eventually are incorporated by club music which are then eventually adopted by the mainstream. Kanye West’s Yeezus album is a great example of the mainstream being inspired by what has been happening in the underground over the past few years. 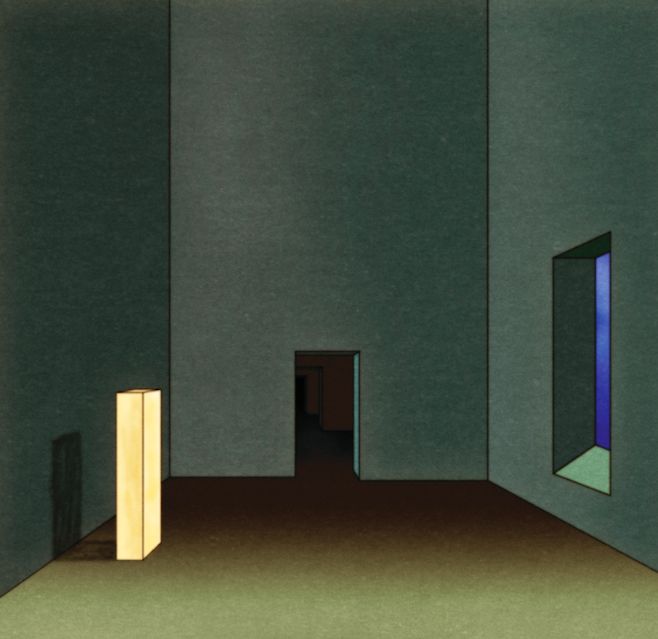 Oneohtrix Point Never’s new album is another example, with his incorporation of vaporwave, a genre which I originally thought was heading towards a similar fate to other micro-genres such as witch house and chillwave. I know there have already been far too many think pieces written about vaporwave so I won’t go on a rant about it here. However, I really think it has a lot to offer techno and other electronic music. Keep an eye out for Arca, his mix this year is very impressive and seems to be incorporating vaporwave ideas in interesting ways. I’m sure there will be others to pop up over the year as well. I’m also looking forward to more development in Melbourne’s scene. It’s quite interesting how both Standish/Carlyon and HTRK have drawn on influences on Melbourne’s early 80s post punk scene to create their own sound. With White Hex and a few other local groups popping up, hopefully this scene will grow and Melbourne will finally have a sound to call its own. Another pleasing development has been the continued rise of Kye Records. To be honest, many of their releases require more time for me to fully appreciate but others have been more immediate. If the recognition of labels pushing such oddball sounds continues to increase, that can only be a good thing. Here’s to a great 2014, hopefully it turns out better than I hope! Thanks so much for this post, I know I didnt hear it until 2014, but the Standish/Carlyon album is simply amazing, in my top ten for 2013 for sure.